American author. Born in Chicago in 1918. A fairly eclectic author who has written for children of varying ages and adults, in both fiction and non-fiction, in a variety of subjects. 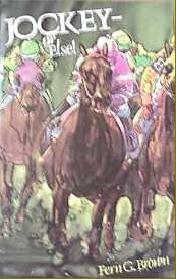 Horses appear in a number of her books. She has written a couple of non-fiction books about ponies for children, a biography of the female jockey Robyn Smith, and four fictional pony novels. 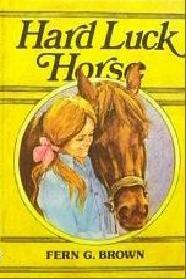 Her pony stories are mostly about children learning how to accept the unpleasant realities of life and overcome them. Reprinted in paperback by Xerox Education. SUMMARY: When the riding school pony Woody Dip has an eye problem and may be put down, Christi offers to pay for the operation, even though she knows the horse will never be hers and she may lose him forever if he recovers and is sold. SUMMARY: Marni must give up her beloved horse Koke to spend more time studying. But then she gets involved with a riding for the disabled programme which helps her to accept her problems. 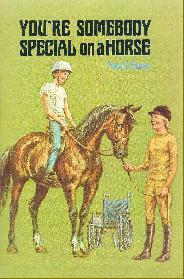 SUMMARY: Benjy longs to become a famous jockey but has to accept the harsh reality that he is not a good enough rider. However it seems he may have talents in other directions. SUMMARY: Adventure/mystery story. Teenage Melissa is baby-sitting Scott. 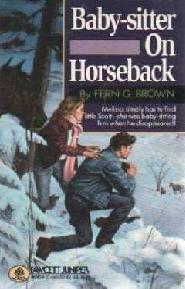 When she allows him to go out at night to check his pony he disappears and a ransom note is then sent to his father. Overcome by guilt, she vows to find him herself. Fairly easy to find in the USA. Much harder to find elsewhere, however they can be bought reasonably cheaply from the USA.